We create our articles from various content that we adopt that is not protected by copyright. We never copy the entire text from other sources, or certain parts, although we adopt that is not protected by copyright. However, if you believe that you own the copyright of any text from our web site, please contact us by email beautyandhealthybody@gmail.com Please be assured that the break of the copyright is unintentional and the materials will be removed immediately. 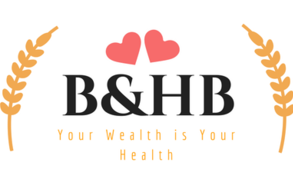 All the pictures and videos shown on beautyandhealthybody.com are the property of their respective owners. All the pictures and videos contained on beautyandhealthybody.com were collected from different public sources, including different websites, considered to be in public domain. If there is anything about the images and their copyright, please contact us through our email beautyandhealthybody@gmail.com. Please be assured that the break of the copyright is unintentional and the images or videos will be removed immediately. We cannot accept any responsibility for any injury or damage that you may cause to yourself, others, or property when following any advice given on this site. We have no control of how you may use information you get from this site and do not attest to the validity of any information found within. Although any advice or other information аrе from reliable sources, please use advice or any other information found on our site at your own risk.